Hard Banding is a process of hardfacing using the MIG welding process to protect Drill pipes tool joints, Heavy weight drill pipe, Drill collars and other tools and down hole components used in drilling applications . 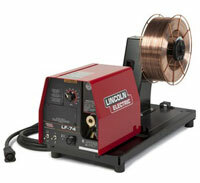 Specially made alloys are used in the form of a consumable wire and deposited using the welding process . 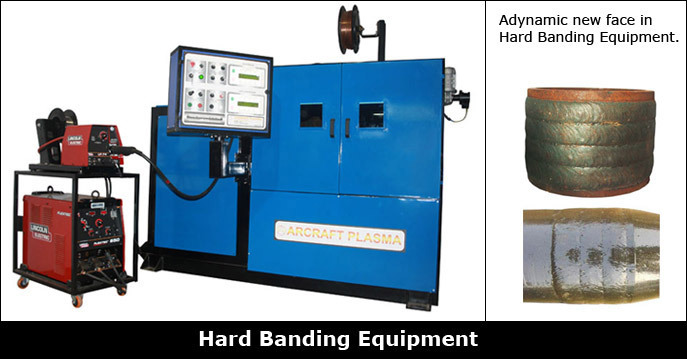 The hardbanding process effectively extends service life of the drill pipes and protects the casing from abrasive wear . .
Hardbanding sometimes is performed using the SAW process , PTA ( Plasma Transferred arc process ) and with lasers . Specially designed machines when used give optimum results and high productivity . 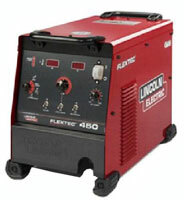 Our system offers a complete solution and is fully equipped with latest technology and is ready to weld. 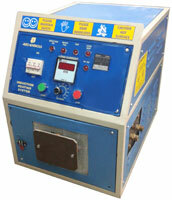 We manufacture standard and customized machines as per our customer requirements. 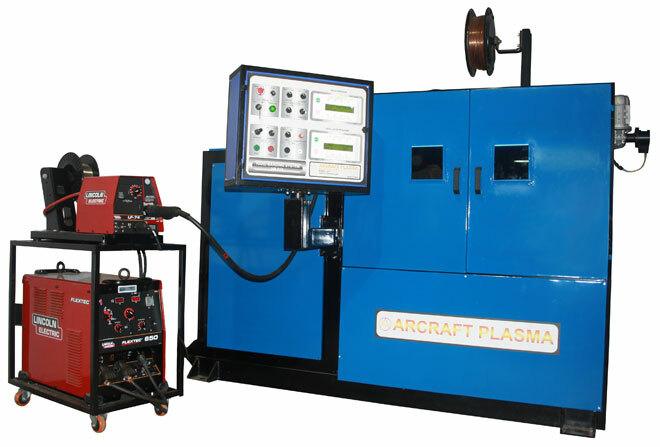 Our unit can be provided with optional SAW process, PTA process , Gouging and Induction heater system. 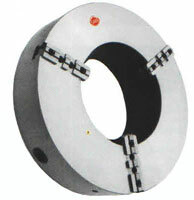 Check out our Hard Banding units, its benefits, applications and scope of supply. Dwell Time Left / Right 0.0 - 9.9 seconds in step of 0.1 sec. Spool Weight 12.5 kgs. max. Fully automatic operation through operator's friendly control panel. Single push button start for automatic weld cycle sequencing of Rotation, Welding, Oscillation, Step-over, Banding & Auto stop. Degree overlap facility to avoid weld defect at stop of the weld. Automatic Step-Over for programmable number of bands. Unique feature of reverse overlap compensation for uniform appearance of start / stop of weld bands in single line. 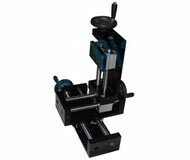 Hollow spindle to accommodate all types of pipes. Hollow Barrel True Chuck with hardened jaws. Sealed roller / ball bearings for long service life. Highly accurate, Smooth, Variable Width Torch Oscillator for excellent weld bead deposit. Cross slides for easy positioning of torch before & during weld. Heavy duty GMAW torch with long life consumables. 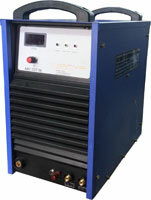 Supply input 380 - 415 VAC / 3-Phase / 50-60 Hz / 25 KVA.